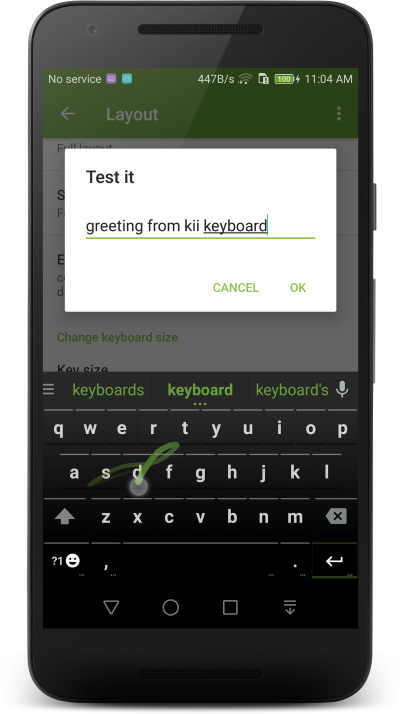 Kii Keyboard 2 is an alternative keyboard on Google Android. It’s the successor of the original popular Kii Keyboard, love by millions of users. Kii Keyboard 2 is free. Our goal is to create the best keyboard app for both Android phones and tablets. Kii Keyboard 2 is currently in active development and beta testing, all features are completely free to use. © Copyright 2016, Kii Dev. Revision 21bee5b2.